When Nathan Gore-Brown was awarded a BBM Youth Support Award for Skilled Futures he was already embodying the BBM value of creating opportunities for himself. When we first met Nathan he had already rebounded from the disappointments of missing out on his university grades and a place in the Airforce and had embraced new opportunities. 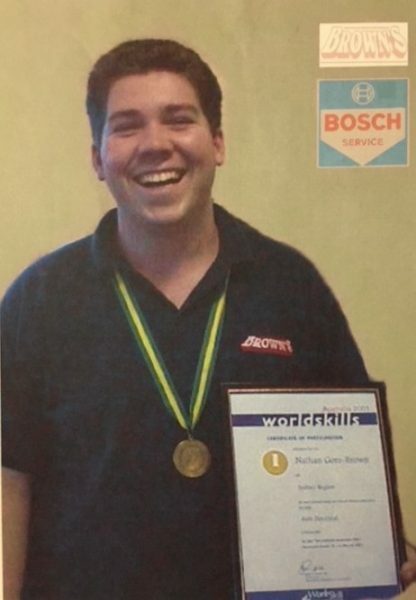 Moving into the auto electric world, he became NSW Apprentice of the Year and a World Skills gold medallist and was looking for the next thing to grow his skills. In 2002 Nathan was awarded a BBM Youth Support Award and headed to the UK to work for Jaguar. With his enthusiasm and expertise he was offered a placement with the company and during his time working in the UK gained an electrical engineering degree. After moving to sister company Aston Martin and travelling the world, he brought his skills back to Australia and took a series of roles at companies including Tesla, Hastings Deering and Mazda. Nathan credits BBM Youth Support with his success and development in his industry. However, the skills Nathan has developed and cultivated in his career are not only for himself. Nathan absolutely lives and breathes the BBM Youth Support values of ‘give back’ and has been passing his knowledge and support onto other young Australians for over fifteen years. 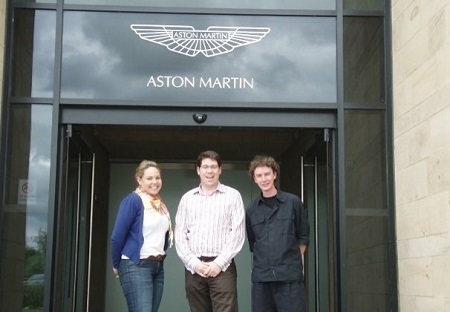 Since his time at Aston Martin, Nathan has helped many Skilled Futures awardees get jobs at Aston Martin and introduced many young people to his other contacts. However, his support didn’t stop there – many of the awardees even stayed in Nathan’s house while completing their work experience! Developing young people is our mission, but equally important is the ripple effect: how the awardees give back to their community and to Australia. Nathan Gore Brown has encouraged all the awardees he has come into contact with to do the same; continuing his legacy. Our Awards program provides young Australians with unique and valuable opportunities to change their lives and strengthen their communities. Since 1983, this program has supported over 1100 young people to grow their own skills and develop others in their communities, to build a better future for Australia. Are you a past BBM Youth Support Awardee? If you are, we would love to hear from you and keep in touch. Perhaps you could link up with someone else in the BBM alumni with a common interest. Or perhaps you would like to share your experience and knowledge with current and future awardees.